A very rare example of a J.J.W. 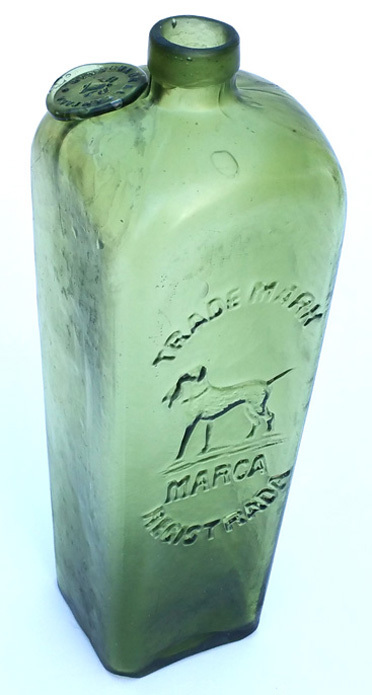 PETERS gin bottle featuring the HUNTING DOG on the side panel with the words TRADE MARK displayed in English and Spanish. The interesting feature is the applied seal on the shoulder showing a BELL with the Spanish wording : GINEBRA DE LA CAMPANA, which translates to BELL GIN. 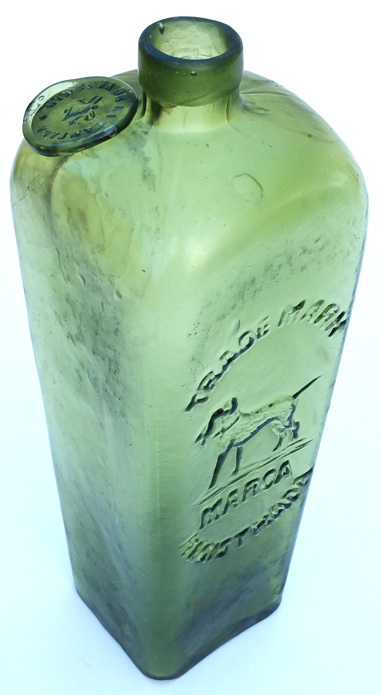 I have read an article published in 1970 by John DuPriest about an example of this bottle found in Panama, and at that stage it was described as unique. This example is the first that I have actually heard of or seen since that article.